Visa's landmark partnership with UEFA is a welcomed symbol of an increased interest in the global commercialisation of women's sport. Visa will act as UEFA's main partner for the Women's Champions League until 2025. The seven-year deal is the first of its kind in terms of the global reach the banking powerhouse represents as well as the sheer scale of the deal itself. This groundbreaking deal follows Ticketmaster's annual 'State of Play Report' which focused on the diverse spectrum of fan attitudes in the shifting paradigm that is UK sport. Ticketmaster's data analysis unveiled a number of unexplored audiences and marketing avenues within women's sport. Ticketmaster's transactional database consists of over 30 million people, all of whom are live event fans; therefore, the potential for growth is limitless. In this sense Ticketmaster may be regarded as 'the guardian of women's sport'. Research has proven that the answer is simply not to apply the same marketing strategies to women's sport as men's. 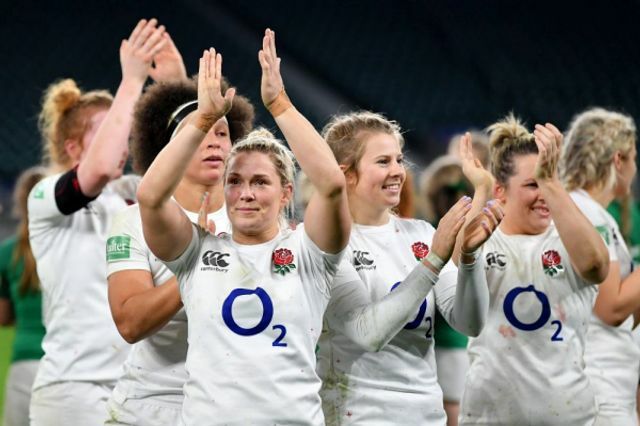 One method which has proven to be successful is Twickenham's ‘unticketed’ policy which enables fans to take advantage of free admission to the women's games following the conclusion of the men’s internationals. Whilst it may be argued offering free tickets is foregoing crucial revenue; the data captured is proving invaluable. The data provides event organisers with an understanding of who is attending the games which in turn enables strategic marketing campaigns to be implemented. This is particularly important for sports that don't have an extensive marketing or PR budget. It is without doubt that the women's market represents sponsors with a great opportunity to have maximum impact from relatively small investments; as can be seen with England's netball team (the Vitality Roses) following their Commonwealth Games success. Undoubtedly there is still a lot of work to be done, especially in relation to extracting the full commercial value of a global success as is the case with hockey following their Olympic victory in Rio. Whilst members of the squad have gone on to have successful personal careers the sport has failed to fully exploit the gravitas it gained following the Games. This is where the significance of data and untapped audiences becomes key. I don’t think it is about whether you have paid money for a ticket, but it is about finding ways to capture the data of those people so that you can get them more engaged in the next women’s rugby game or the next women’s cricket match.